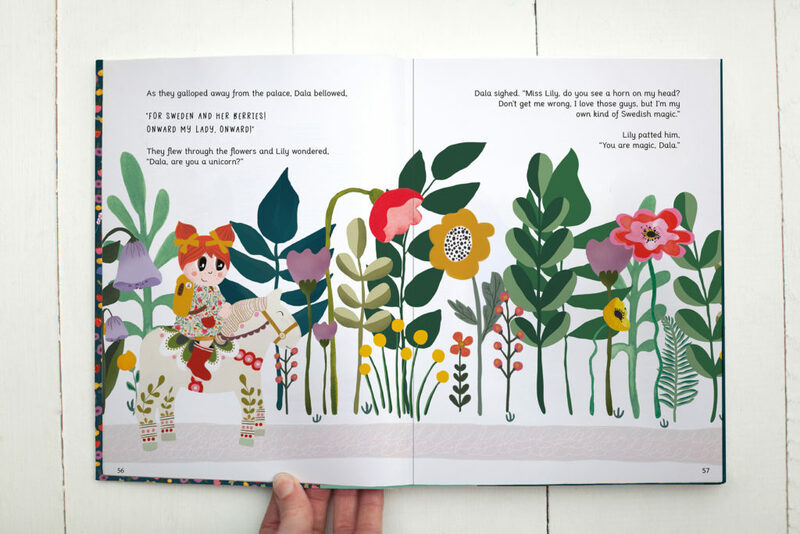 The Adventures of Lily Huckleberry are rich stories for your little adventurers that weave imagination & cultural discovery, bravery & laughter, beautiful artwork & the spirit of adventure. Kellie: You not only co-authored your first book but self published it too! Congratulations! Audrey: Thank you! It’s been quite an adventure to get Lily’s first adventures out in the world! We’ve learned (and are still learning) so much about publishing a book – and hopefully I can share some of what we’ve learned with your readers. K: When did the idea for Lily Huckleberry come about? Were you and Jackie Knapp together or was this a long distance idea? Artist work both ways, we would love to hear how the concept came about? A: Jackie and I met five years ago when I was looking for a nanny for my four girls. From the start it felt like a serendipitous encounter! Though Jackie worked for our family, we quickly became great friends and had endless conversations about our passion for raising good little humans, our love for travel + adventure (we had both lived/traveled many places around the world) + for great stories with a healthy dose of fun + silliness! Back then I was just starting to design kids products when we met, and Jackie was at the time working on some personal/ short stories. 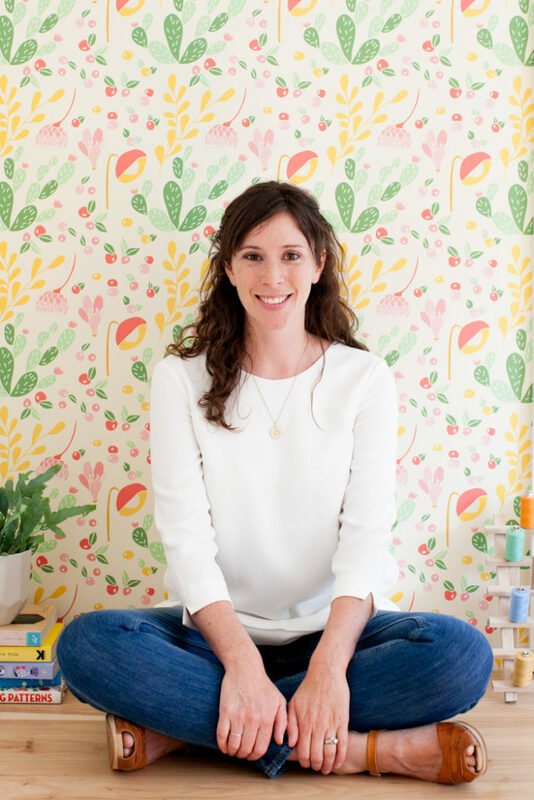 The idea for Lily’s adventures didn’t come to us until last year (after Jackie stopped being our nanny) when one evening we were having tea, chatting around the kitchen table about how fun it would be to show kids how beautiful this world is + help them embrace their curious spirit. And before you know it, we started imagining a secret adventure society, a magic globe, and this brave, adventurous little girl who would take young readers on whimsical adventures around the world. We worked on the first book slowly at first, meeting every few weeks at first. But the more we worked on it, the more in love we fell with Lily and her adventures, and soon started meeting every week to imagining, write, sketch and laugh. We had so much fun bouncing crazy ideas off of each other! Jackie and I had the same vision for the series from the beginning so things came together pretty quickly. K: How many times did you revise? A: It took us 15 months to go from that first conversation to the final version of the book! A pretty long time for a kids’ book, but it was really important for u:s to come up with the perfect “mold” for the series. We knew that if we could really refine the concept + main characters from the start, the following books would come faster – and the series would be more cohesive. From an illustration perspective, there was also LOT I had to work on given the length of the story. It was also my first time diving into illustrations, and let’s just say the learning curve was steep 😉 I am much better at illustrating now. K: Did you hire an editor? Were you also the book designer? A: We did almost everything ourselves, but hired an editor after our successful Kickstarter campaign once we knew the book was a go, and we had the funds for it. It was amazing having someone to consult with. We also hired a visual consultant that I could bounce my illustration ideas with. And yes, I designed the book and I laid out every single page. I actually really enjoyed that process, even though that meant I had to learn yet another computer program (InDesign) because it allowed me to keep creative control over every single detail. And needless to say, it also helped us cut down on costs since we didn’t have to outsource that part. K:Self– publishing is risky. What made you decide to go for it? When did you decide to use Kickstarter? Strong following: I already had a lot of followers on my Instagram account and on my email list that we could draw support from. I also knew I had many of the skills (photography, PR, sales etc) that would be needed to help us be successful, and having to market the book felt not different than what I was doing for all the other products I was already carrying in my shop. Industry standards: our book didn’t quite fit the industry standards – it was longer than your traditional picture book as we wanted the story to have a little more “meat”. A sort of bridge between picture + chapter books. We knew it would take a LOT of time + effort to convince any publisher to let us carry our creative vision from that standpoint. How quickly we could get our book out: and yes, that lack of patience for the slow-moving publishing industry I mentioned earlier was a big factor 😉 If we had gone the traditional route, there is no way that our book would be out by now. We might even still be looking for a publisher to buy into this series, to be honest. K: You have an impeccable eye, easily seen through your work at This Little Street, did you always want to illustrate a book? A: You know how to make a creative person blush 🙂 Years ago I thought how fun it would be to work on a kid’s book – but never had any grand plans or concrete ideas for how that would happen. It was just a dream on the back of my mind. That’s why I think Jackie and I meeting was very serendipitous. This series would definitely not have happened if we had not met – every aspect of it is a combination of our creative minds 🙂 We come up with the stories/characters together, then Jackie put our ideas into words, and I illustrate the whole enchilada 🙂 I really fell head over heels for illustrating while working on this first book. K: Did you have anyone you looked up to for inspiration or advice? 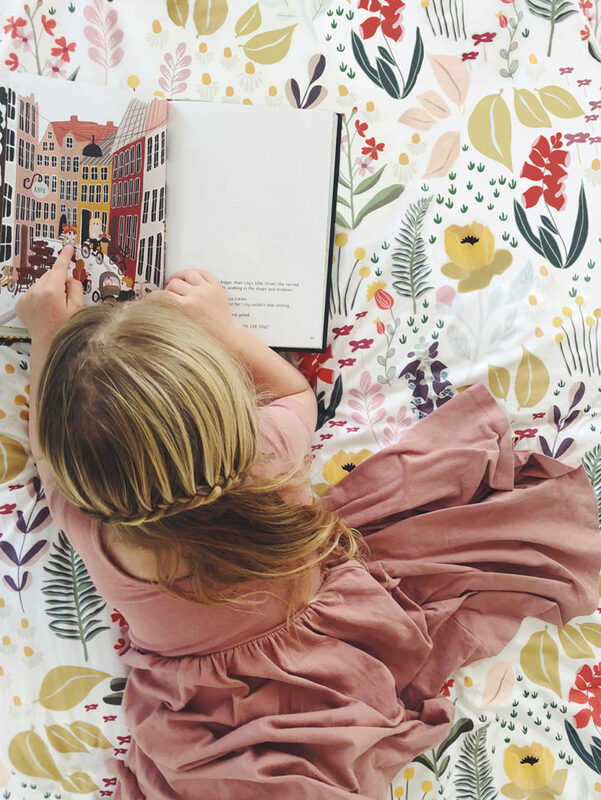 A: From a creative perspective, we drew a lot of our inspiration from books with great female role models for kids like Pippi Longstocking, Matilda, etc. From a business perspective, we tried to study what successful self-published books – books like Good Night Stories for Rebel Girls. And as I mentioned before, we tried to talk to anyone and everyone we would meet that was even remotely connected to the book publishing industry, and tried to balance their advice with what our guts were telling us to do. K: You have created more than a book, it’s an adventure. When the box arrived, impressed is an understatement. I couldn’t believe the attention to detail. How long did it take you to source and create the full package? A: Product design lives in my blood, it’s what I have been doing for the past few years and it’s so important for me to always be thinking outside of the box. 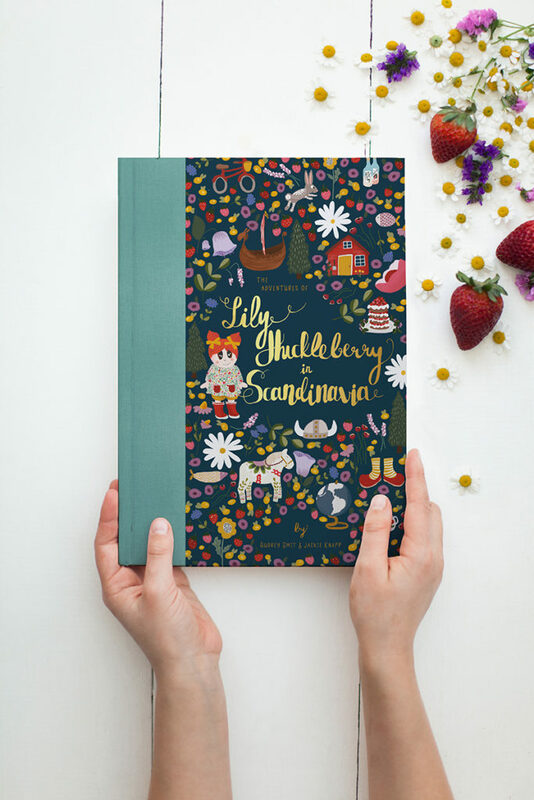 So when we started working on the book, I knew that I’d want to bring my experience with product design to create an experience that went beyond the story – to bring Lily’s Adventure, her whimsical world to life for our readers. 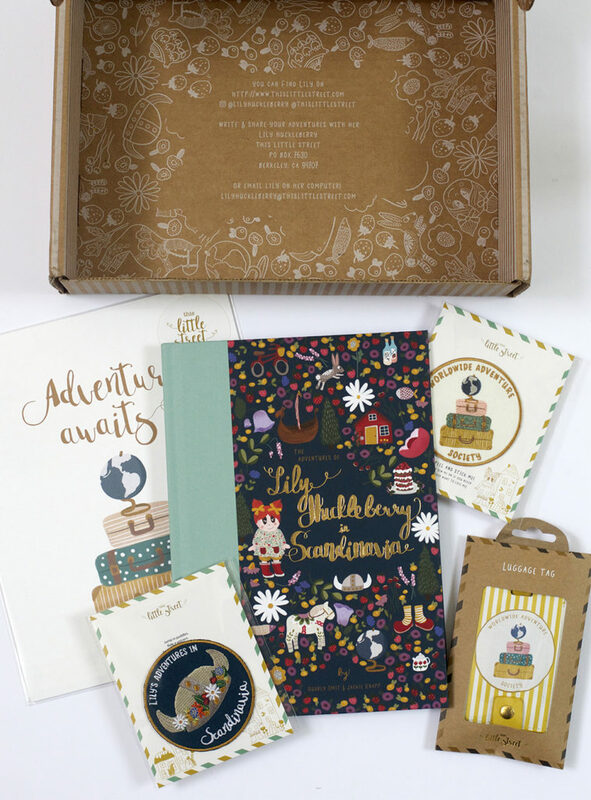 The details of the story were so inspiring to me that designing everything (the adventure box the book shipped in, the luggage tags, the prints, the patches, etc) was pretty quick. Production took a bit longer (and there were a few hiccups here and there that I had to deal with) but in the end I am so happy with how everything came together. We’ve been getting so much amazing feedback about our entire Lily Huckleberry line!. K: What advice would you give to artists looking to self- publish? A: The best advice I can give to anyone trying to self publish – make sure you are comfortable wearing both a creative hat and a business hat! Long before you publish your book, you will need to build a platform + acquire non-creative skills and/or build the right team to surround you and help you. After you publish your book, you will need to find the right distribution channels, finds ways to market + promote your book, etc… Self-publishing is very much like launching your own business. K: There are clearly more adventures to be had. 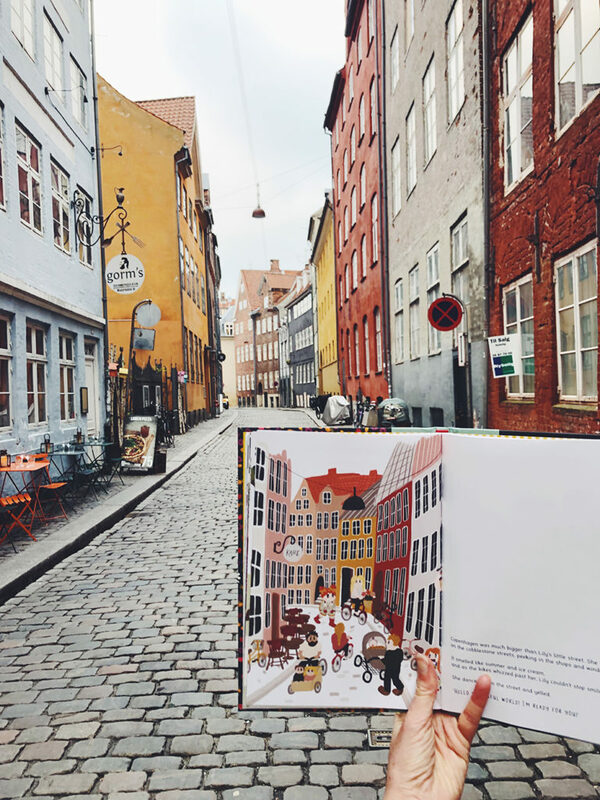 Lily first explores Nordic culture, do you have other cultural explorations lined up? A: Oh boy do we have more adventures for Lily! We have a brainstorm document where we gather new ideas, and are actually excited to announce we are working on Book #2! We plan on self-publishing again so the second kickstarter campaign will be coming in a few short months! While we can’t quite reveal where Lily is going next, we can give your readers a clue: it will be somewhere in Asia 🙂 And after that, most likely Central/South America…we want to make sure Lily (and our readers) get exposed to a good variety of cultures before she has another European adventure. K: Will the book be sold by subscription eventually? A: That’s an interesting idea! The book is currently sold on Amazon, in our shop – and a growing list of shops across the country is also starting to carry the book. We also sell all the fun Lily Huckleberry products you mentioned (prints, luggage tags, patches, Lily Huckleberry gift box etc) on our website. We are working hard on getting wider wholesale distribution deals (fingers crossed that it happens this year!) so it becomes easier and easier for people to find our book(s). 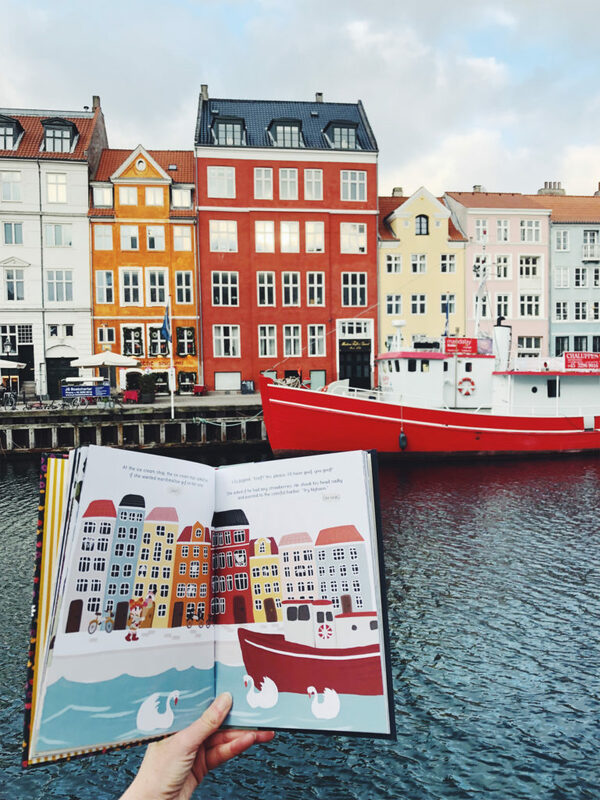 I don’t think we will sell our book as a subscription BUT we have talked about the idea of a “Worldwide Adventure Society” subscription box, down the line – boxes filled with objects + activities to help kids learn about different parts of the world with Lily! We can’t wait to see where Lily travels next. Find Lily Huckleberry’s first adventures on Amazon. Follow Audrey on Instagram here.